Voted again this year #3 World Travel Destination by TripAdvisor viewers, you can't go wrong visiting this ancient and awesome site. Listed as one of the Seven Wonders of the Modern World, it has been described as more picturesque than the Great Pyramids of Egypt and the architecture as more impressive than the Great Wall of China. Although there is no way to reach the area of Machu Picchu by road, there are two other ways of attaining the goal - the train route run by Orient Express or hiking in via the Inca Trail or the Salkantay Trail. Both of these options have their advantages. The train provides a quicker way for those short on time (although you will need to stay one night in Aguas Calientes, at the foot of Machu Picchu's mountain. The train ride offers scenic splendor but really can't match the trekking trails for majestic views. You do have the option of a more luxurious train ride or the Backpacker special. Leaving Cusco, the old Inca capital, the train ride climbs over the neighboring ridge before dropping into the Sacred Valley, which it follows for several hours to reach Aguas Calientes. 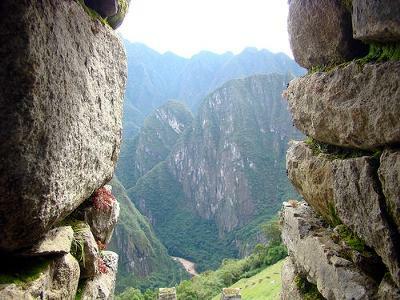 The Inca Trail is usually a four-day hike and can be on an budget basis or luxury. Nights are spent in tents with full gourmet outdoor meals prepared by the crew who has hiked in ahead of you. The Inca Trail is limited and needs to be booked at least six months in advance. 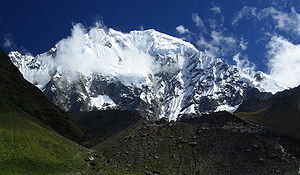 The alternative trail, the Salkantay Trek, is less known but not less spectacular. It is named among the 25 best Treks in the World by National Geographic Adventure Travel Magazine. The Salkantay route is more comfortable in that it offers overnights at hotels strategically located along the hike route. 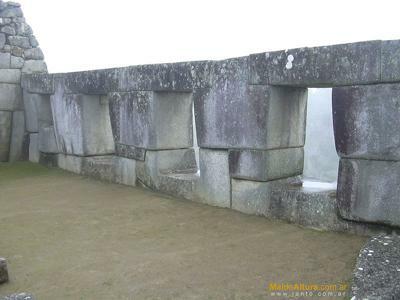 Machu Picchu is a must-see that you definitely do not want to miss! For full details on what makes Machu Picchu the special place it is and one of the most photographed sites in the world, visit Inside-Peru's Trips to Machu Picchu.